For the first time since Sara-Ann headed back to the UK, it’s time for me to get back on the bike and start riding solo. 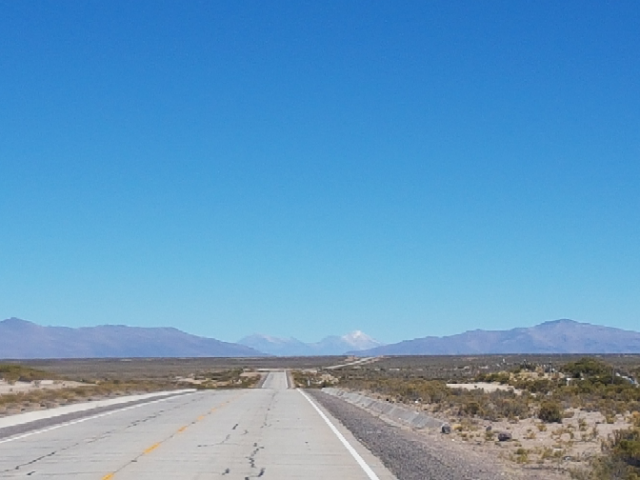 I haven’t picked the easiest journey to begin alone, with 725km to travel from La Paz to Uyuni via some pretty deserted roads and tracks. I’m full of anticipation setting off, and also wondering how I’ll manage with the extra weight on the bike now I’m stocked up with the extra food and water I’ll need, along with the the camping gas and some other supplies that Sara-Ann had previously shared with me. The first is that breaks are far less interesting! They are still necessary to make sure I don’t knacker myself out too early in the day, but it’s far less engaging sitting by the side of the road munching on a snack by myself than when I had my co-ciclista to share the time with. We were pretty good at chat! I start reading my kindle in the breaks to at least have something to pique my interest. Currently on the reading list is ‘Marching Powder’ about a British drugs smuggler who was locked up in the infamous San Pedro prison in La Paz – quite an amazing story and insight into the Bolivian prison system (or lack thereof)! The second is learning to pace myself. 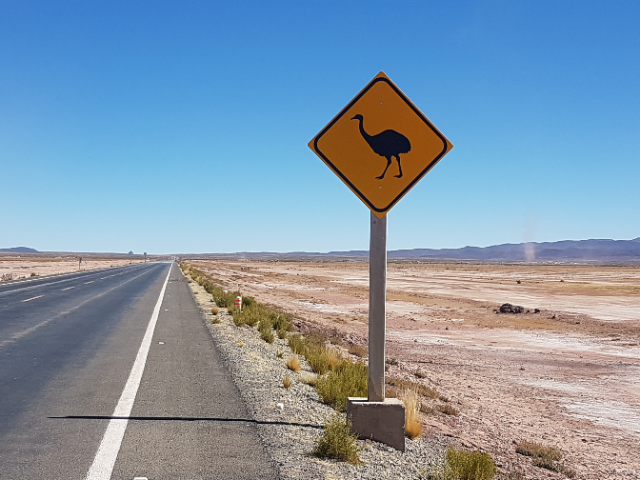 I don’t really have a good sense of my speed and fitness boundaries just yet, as we’d previously been pacing ourselves and taking quite a few breaks to visit the likes of Colca Canyon and Lake Titicaca. I start off by aiming for 50km before lunch and 80km for the day. It seems to work quite well, although I do start to feel more physical effects of the riding after a few days (namely a sore bum!) and realise that I do still need to make sure I take rest days once or twice a week to give my body a rest and time to repair itself. Lastly, I see the impact moving ‘off the beaten track’ has on the food and accommodation available. 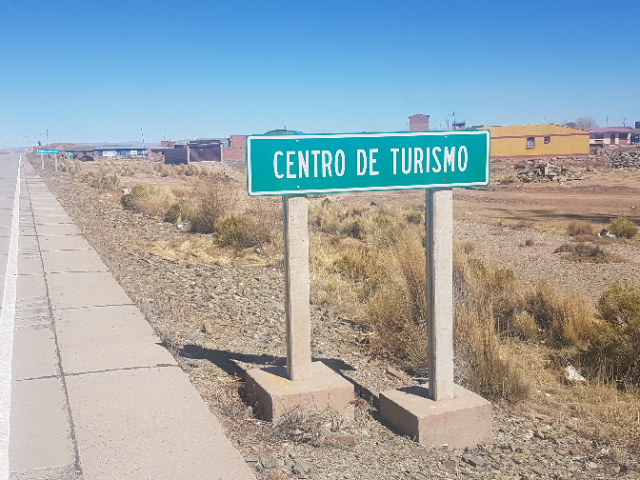 I’ve switched from La Paz with it’s magic supply of Earl Grey tea to small pueblos that only have one – if any – rooms on offer, and some very local and intriguing food options available. Some more on that below! 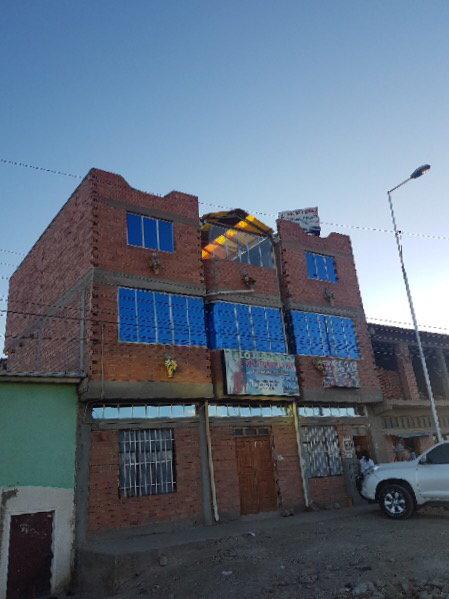 Charquekan – a local specialility of the Oruro region and all that was available in one place I stayed. It consists of beef that has been previously shredded, salted and dried in the sun, then later deep fried. 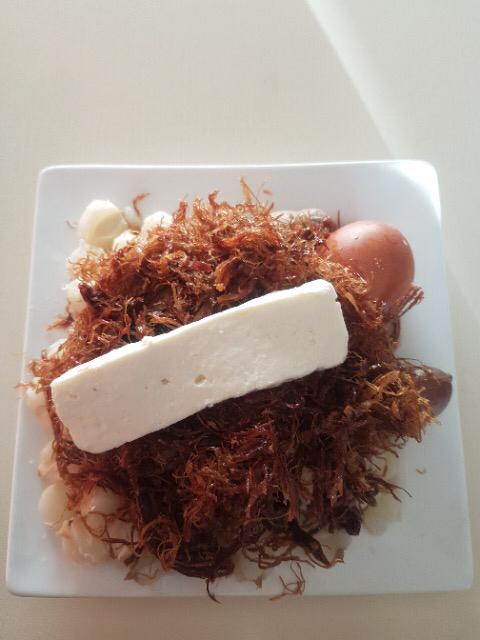 Served accompanied by fresh cheese, an egg, potatoes in their skins, mote (corn kernels) and llajwa (Bolivian spicy sauce). A rather greasy dish I ate with some trepidation but thankfully all was well and it seemed to fuel me up pretty well for the following day. One pot meals: Much of the rest of the time I was cooking for myself. Given the complete absence of fruit and veg for sale in most villages, I got rather familiar with pasta, tuna and whatever vegetables I’d managed to keep carrying with me. 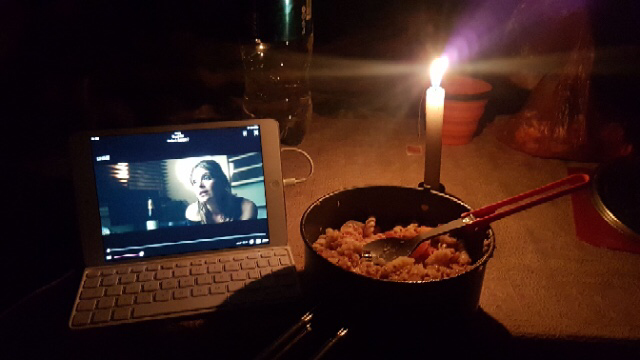 This village also had no electricity, which made for a romantic candle-lit dinner for 1 plus a spot of iPlayer before an early bedtime. 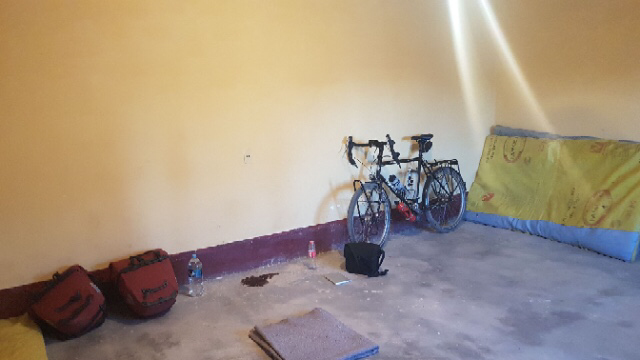 Also pretty basic – on my birthday I stayed in this room with no bed and no loo. But at least with a roof over my head it was warmer (/less freezing!) 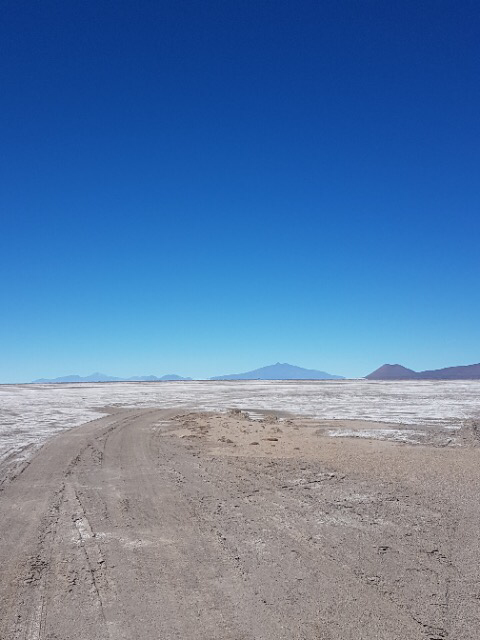 than being out in the altiplano. I had an entertaining evening at this truckers stop – they definitely weren’t accustomed to having solo women coming to stay and made quite a (charming) fuss of me whilst I was there. The route to Sabaya was pretty straightforward but challenging in terms of maintaining motivation, given a headwind and also being able to see along a straight road for miles on end. Small things made me chuckle. This really made me laugh – if you saw the village there was absolutely nothing there. Quite what made it qualify as a ‘Centro de turismo’ I will never know! 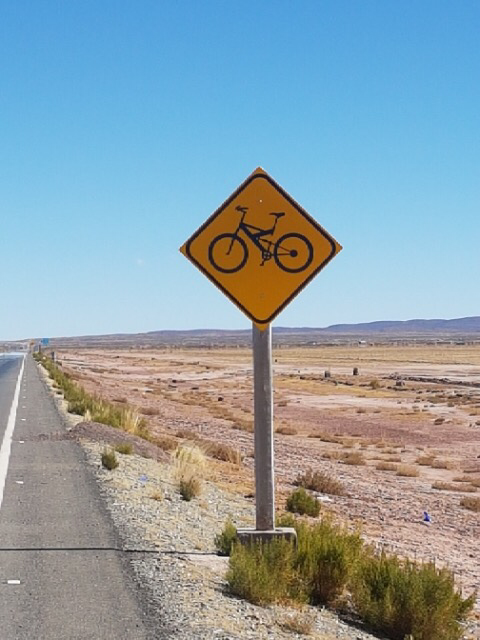 More long straight road going on for miles – just keep pedalling! A 2 hour delay for unanticipated roadworks had me getting nervous about reaching my destination in daylight. 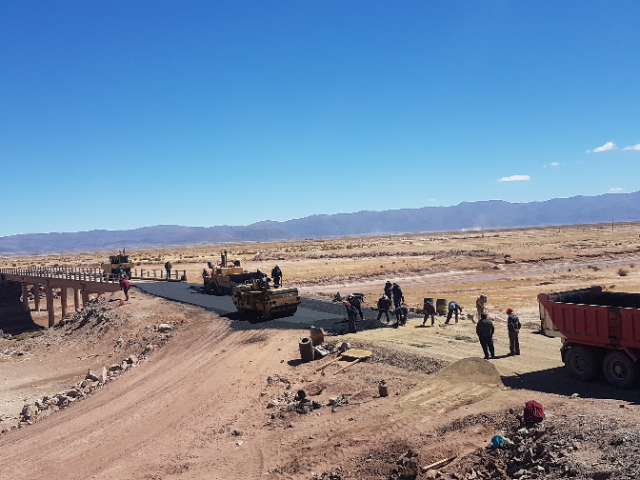 Eventually they took pity on me and let me sneak through on the freshly laid tarmac. 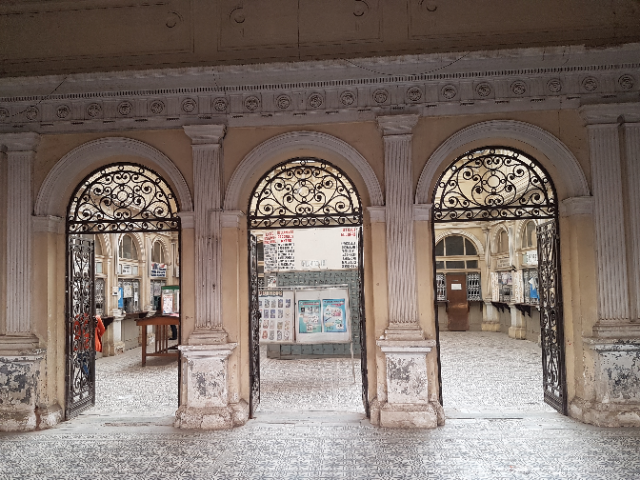 The amazing post office in Oruro – still decked out in its fading colonial splendour.